If you're a woman, this is your time: to get your book published, if you're an aspiring author, or to find a good one to read, if you're a bookworm. Or even to set trends, if you're a publisher and you want to tell people about the great books you believe in. I'm all four: a woman, a bookworm, an author, and a publisher. I self-published my memoir, Sister of Silence, in 2011 in paperback. The ebook came out in November. Even though the topic is dark, the message is not -- and it's one women can relate to. Namely that you have, at your own fingertips, the power to change your own life. Your destiny. Call it a book about women's issues. Which is why I went to the Women's Fiction Festival in Matera, Italy, last week: it was chock full of women -- who write books for women. The theme, "Publishing Is a Button," was highlighted throughout the conference's workshops. We learned about the digital revolution, where ebooks have overtaken paperback ones, and where indie publishers like Amazon are decimating traditional ones. We learned about the importance of agents, or how to go it alone (as I did) without one. WFF's founder Elizabeth Jennings is an author herself. "Finally it is changing in the favor of (women) writers. This is our time," Jennings said. "This is a fabulous time to be a writer," Christine Witthohn, founder of Book Cents Literary Agency, said. "Two years ago, the prize was getting a contract with the Big Six (publishing houses) in New York. Not so much now. Indie presses offer better pay, advances and royalties," Witthohn said. Indeed, Witthohn has two debut authors who have earned a five- or six-figure income in a matter of months. One of those authors, S.G. Redling, sold more than 70,000 copies of her book,Flowertown, in the first six weeks. Their publisher? Amazon. Wannabe authors take note: Amazon has CreateSpace, its publish-on-demand (POD) firm for self-published authors. Its Kindle Direct Program (KDP) produces digital books for indie authors and publishers. And now the giant online retailer produces its own line of books. Like Redling, those authors receive a traditional advance and royalties. The publishing world is indeed changing. Nina Bruhns, an editor with Entangled Publishing, believes it's due "in large part to the women authors who have worked so hard over the past 30, 40, 50 years, to show that we could write just as well as men" and that we have things to say that people care about. Bruhns believes this is because "we've finally reached the stage where we as women can write about things that are of interest to us and not be made fun of... but be valued for it." Publisher Stephane Marsan, head of the French firm Bragelonne, said the impact women are having on the market is amazing. In the U.K. a female editor or publisher will go to great lengths to convince everyone (in the business world who has a say) to publish a book. "Men think if we're interested in it, we don't think we have to convince anyone of anything," Marsan said. "That's a big mistake." In the past, publishing heads have been male, like Marsan. But women are fed up with having their books turned down, or at having to write more because of traditionally getting paid less than their male counterparts, Bruhns said. Women are also disgusted when traditional publishing houses reject their books. I know firsthand what that's like: I queried about three dozen agents and a few publishers before deciding to go solo. I formed Nellie Bly Books, LLC, and my little indie firm published my memoir. Now, a paperback book that I couldn't get New York literary types to touch is being taught in four colleges or universities that I know of, including Johns Hopkins. 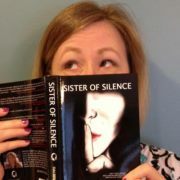 The e-book is selling like hotcakes, and the 101 reviews have given Sister of Silence an average of 4.3 stars. It's proving to be a book that speaks to women, but that didn't matter to publishers. And it never would have happened if I had not taken the reins and steered my horse in the direction I wanted it to go. Granted, I could have failed. But the facts show these new business models, largely run by women, are doing anything but. Take Entangled, for instance. Bruhns said founder Elizabeth Pelletier opened her doors to huge controversy. Its business model is based on equality: shared profits and shared success. So everyone in the company (earns) royalties. It's doing so well that Pelletier has had to condense her five-year plan into a one-year plan. "No one in their wildest dreams thought we were going to be this successful," Bruhns added. For women -- who historically have been forced to live in a man's world -- the new publishing models are all about control. Until recently, female writers had absolutely none over their own careers. "From the first scribes back in ancient Egypt up until a few years ago, the writer was really at the bottom of the totem pole. Other people decided what we wrote, what got published, and what was available" for the public to read, Bruhns said. "We had very, very little, if any, control over any of that process. Now that's all changed. So our (time) has come and it's just an amazing, amazing time to be a writer. Because you can decide yourself what you want to present to the world to read, and take care of your own career and not depend on somebody in New York or Milan or anywhere to make money or put out what's best," Bruhns said. "Not what you want. Or which won't be available to read." Mary Leo, a romantic comedy author who once wrote for Harlequin but then found their doors closed to her, urged aspiring authors to "settle for more." She did that when she went to a Romance Writers of America conference and teamed up with three other authors. They wrote one book, which they published through an indie press. The process was so much fun, the three authors published four more, similar books. "All of a sudden I was able to write whatever I wanted to write, say whatever I wanted to say, because I knew we were going to publish them. They were going to find a home," Leo said. "We started selling books and it did so much for my self-esteem. It brought back that creativity, that fun I had when I write," Leo said. "It amazes me how easy it was. Suddenly I was having dinner with editors and agents." Author Janet Wellington has four traditional print books with publishers Dorchester, Berkley and Kensington. Nevertheless, she wanted to try the do-it-yourself route, which she calls "very doable." Wellington said she learned in three months everything she needed to know to publisher her book, and then set up the digital edition with KDP. The key to being a successful self-publishing author is the "responsibility of being professional," Wellington said. "Make sure the book is edited and error-free, and your cover looks very good. All of that is extremely important because you are now your publisher if you're indie." I can attest to that. Although I thought I had edited Sister of Silence until it was flawless, it turns out I was wrong. A few mistakes crept in. And trust me, that's something readers notice -- andcomment on in their reviews. Unfortunately, there is a glut of poorly-edited or even badly-written books out there. This makes it harder for readers to find your book. But once they do, watch out. "For $200 you can pay for edits and your story shines through, so it's worth it," Anselm Aston, of Attica Books, a British indie publisher, said. "The challenge almost always involves getting people to find it," he added. Jennings says she believes the current abundance of books is great. "For readers, there's been an intellectual boom," she said. The key is for readers to find a good, or even great book, by an author they love. "Always, always write a fabulous book and people will find you. Even in the glut," Bruhns said. Doing that may boil down to forming a psychological bond with other people -- something women are famous for doing well. "The best weapon to make people buy a book is to talk about the human aspects of a book," Marsan said. He believes the real trick for today's publishers is not just to find a wonderful book. Rather, it's to find books that will make "a deep impact with the readers." One that will achieve the ultimate goal of causing a reader to feel like they would like to have a chat with them, to know why the writer wrote the book, to "be their friend," he added.